I don't really like any of them; they all look too jagged if you ask me. But then, none of them have any depth the way the originals had. Maybe that would help? I don't think FlashPV is making any further changes. He sent me the layered graphics a few days ago. You're probably stuck with it the way it is. I dig it. My only note would be to stick to the smaller lettering of the original title scene, if possible. I like it, but the colors feel a bit too dark, maybe the contrast is off? If it's for the anniversary of the game, maybe change the palette up a bit? I think one of the Mother games' boxes is in a red/gold scheme? I love it, my only nitpick is the line thickness of the upper half of the "R" is off a bit. Super thumbs up! Maybe it can do with a more masculine look to the font with bold and all caps text. Here is a mock up I quickly made to illustrate my meaning. The borders of the text need to be edited so it blends in less with the background, but anyone is free to fix/use it. Hey, thanks! 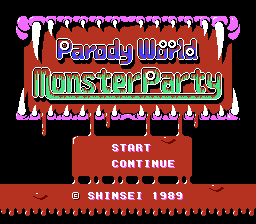 Well...I know it'd be more accurate to the boxart to have smaller letters, but I went ahead and stuck with the tall lettering so the title screen wouldn't feel so blank. Oh, I think it looks a little dark because I just eyeballed the colors from FCEUX. It looks nicer in-emulator. And the red/gold color scheme is a good idea! ...But I tried it out and it didn't agree very well with my anti-aliasing. 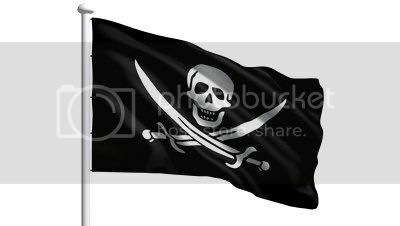 I suppose I'll be sticking to this logo for now. Went ahead and fixed it! Thanks for pointing that out. Here's the newest version of the logo. And if you're curious why I took the silouettes out, it's because I took a poll over at the Starmen.net forums and people agreed the silouettes tok away from the logo's simplicity. An updated design for Pennywise's Bionic Commando re-localization. 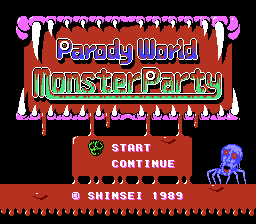 Also, I've been doing a fair number of title screens lately, so I threw together a page on my site showcasing them. 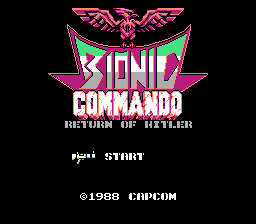 The game logo is largely different than original version, the logo is from bad box art. 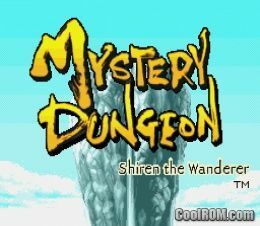 Latest localized Shiren is redesigned. 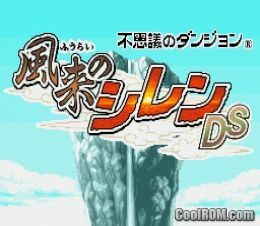 Can someone draw Shiren DS logo like as latest logo? Redrawn colors, sun in 'R'. Inserting clouds instead of cape. For my translation. Soon to have actual progress. That's great! I was just playing the gb picross games and wondered why these never made it across. 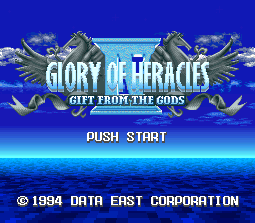 One of my favorite handheld titles actually. This looks cool, but I like the current one on the re-localization. That Godzilla title screen on your page looks AWESOME! Can't wait until its released. Thanks, man. I tried out way too many Godzilla logos before I settled on the Marvel comics' one. My only critique is that I think I'd like the red pattern from the kanji better on the English text than the one used in the original localization. I think having the red all over the letters makes them blend in too much with the red background. 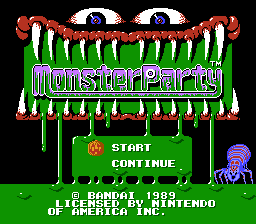 Yeah there needs to be more green in the Monster Party letters to make them more ledgible. Agreed. It hadn't crossed my mind that the US one shares its background color with the lower half of the letters instead, affecting its readability when moved onto a different background. 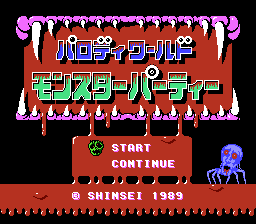 I worked in some of the additional eyes from the Japanese version as well.